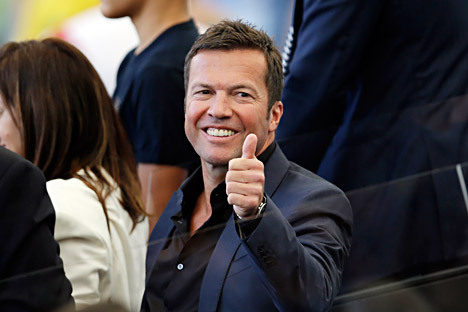 German football legend Lothar Matthaus will take part in a ceremony marking 1000 days to go before the start of the 2018 FIFA World Cup in Russia. Gianluca Zambrotta, a prominent Italian football player who won the 2006 FIFA World Cup with the Italian national team, has also confirmed his intention to take part in the events, the Russia 2018 organizing committee press service reported on Tuesday. Matthaus and Zambrotta will be honorary guests of an international football tournament for players under 16 to start on Red Square in Moscow on September 18.